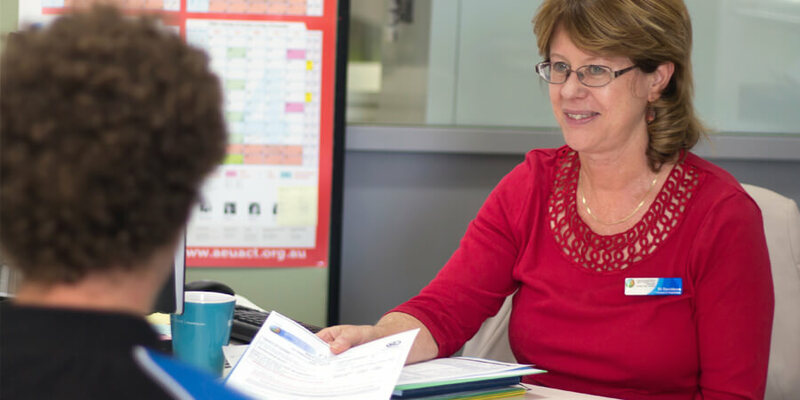 Gungahlin College provides a broad range of Careers and Transition services for students and parents. Visit the Gungahlin College Careers Website for the latest careers opportunities and information. Transitions: Working with local High Schools to ensure students make a smooth transition to College. Career Pathways Advice: Available to meet with both parents and students. Year 12 Certificate package checks: Advice and assistance on course of study to ensure students have appropriate subject choices. Vocational Opportunities: Australian School Based Apprenticeships (ASBAs) and Work Experience Placements organised. Short courses arranged in partnership with Gungahlin CIT at the end of each semester. Presentations: Students have the opportunity to hear from various Tertiary institutions and other organisations at Careers Focus Days and during blended learning times. Careers Market: Students visit the Careers market in August each year. Australian Apprenticeships combine practical work with structured learning and lead to a nationally recognised qualification. They provide Australian Apprentices with the necessary job experience to get the career they want. Australian Apprenticeships are available in over 500 occupations in an increasing range of industries. Some Australian Apprenticeships can be started while still at school and form part of a student's Year 12 Certificate. An Australian School-based Apprenticeship (ASBA) involves the employment of a young person who is undertaking a traineeship part-time while still attending school or college and enrolled in a program leading to a senior secondary certificate. Work Experience (WEX) is an integral part of offering students an opportunity to explore a wide range of employment opportunities and have a taste of different work environments before they leave College. Students can participate, a number of times, in WEX during their 2 years of college. WEX allows students to experience workplace expectations and requirements and is used to help students partner with a suitable employer before they start an ASBA.